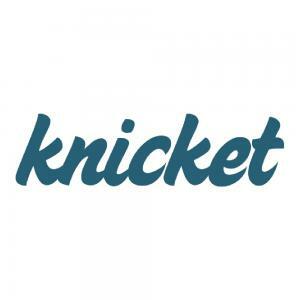 Many of you have been asking us how you may help us make Knicket more popular. We will answer this question in today's update. Any website benefits from backlinks on other websites because such links lead to higher rankings on Google and other search engines. It is essential that these links be relevant: When there is a link to a website for car parts on a website for pet food, Google notices that this link is hardly relevant and was most likely added as a favor. Thus far, it has been difficult for some Companists to add a relevant link to Knicket to their own website. Based on some Companists' suggestions, we have programmed a little app search box (Knicket homepage widget) that users can integrate into their own website in no time. If, for example, you write a short review of an app or recommend an app and mention that people can easily find other helpful apps using the Knicket search box, everyone should benefit. We will be glad to help you choose apps for this purpose. We may also modify the widget if necessary. We are still thankful for any suggestions and ideas we receive from you! The app by Sparwelt.de, a coupon website offering discounts on and sample packages of popular brands, is the latest app of the month on Knicket. We have also started negotiating with this company, which is part of RTL Group, on a potential partnership. The negotiations have only just begun, yet we have made the company's very interesting app our app of the week.